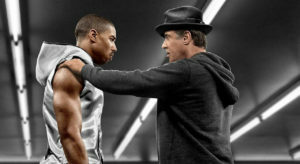 Today we talk about the phenominal action film Creed, which continues the tale of the infamous Rocky Balboa. We also look back to the original Jungle Book from 1967, and look forward Disney’s new Live Action interpretation of the story. We also talk about taking action and eating pickles from mason jars. Things got weird. Enjoy!